Parties involved in a lease agreement are called the Lessor and the Lease. According to this agreement, the lessee gets right to use a property owned or managed by the lessor, in exchanged of a payment. This however, does not transfer the ownership of the concerned property. The lease period is specified and the property has to be vacated after that, if the lease is not renewed.As the owner doesn’t change and his property is used, specifications and solutions to many topics for example damage, modification, nature of business, etc. need to be clarified beforehand. Considering the importance of this document, it is best to download our Lease Agreement sample, which takes care of all your needs. These templates work well with all formats and can be downloaded for free.You can also see Sample Commercial Lease Agreements. 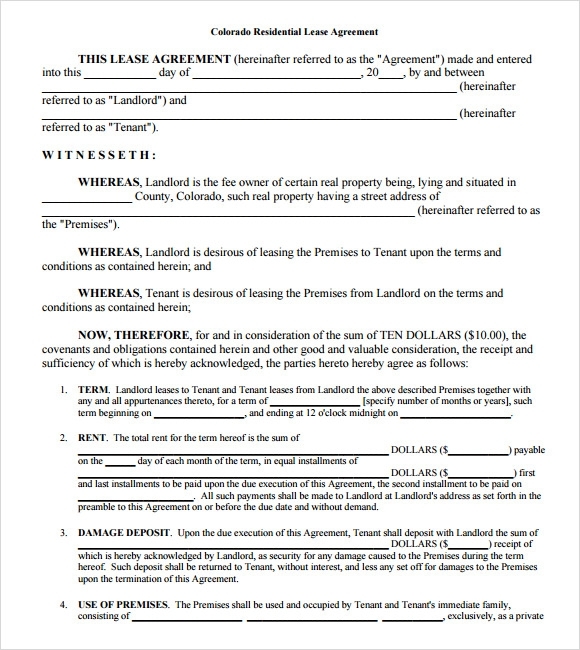 The lease agreement format template presents a complete format of the look and the appearance of a lease agreement, helping the users use it in the form of a guide for drafting a proper lease agreement. 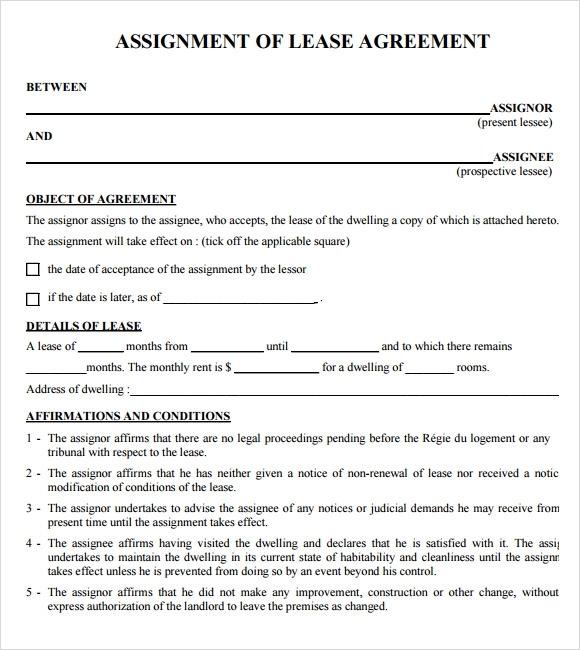 The sample lease agreement template can be used in the form of a guide as it contains a sample of a lease agreement helping those in framing an agreement who do not have any idea about the contents of lease agreement. 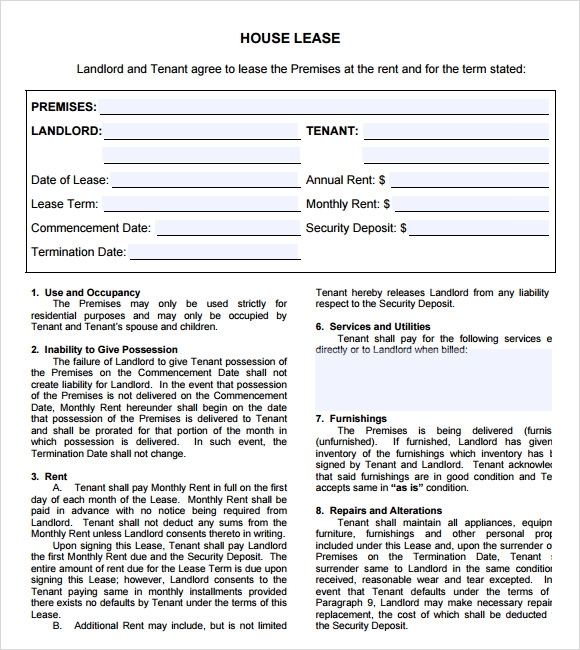 The free printable lease agreement template comes in the form of a formal contract signed between a landlord and a tenant stating the exclusive rights of the tenant. The simple lease agreement template contains details declaring the date of the lease and the individuals involved in the agreement. Why Do You Need Lease Agreement Templates? 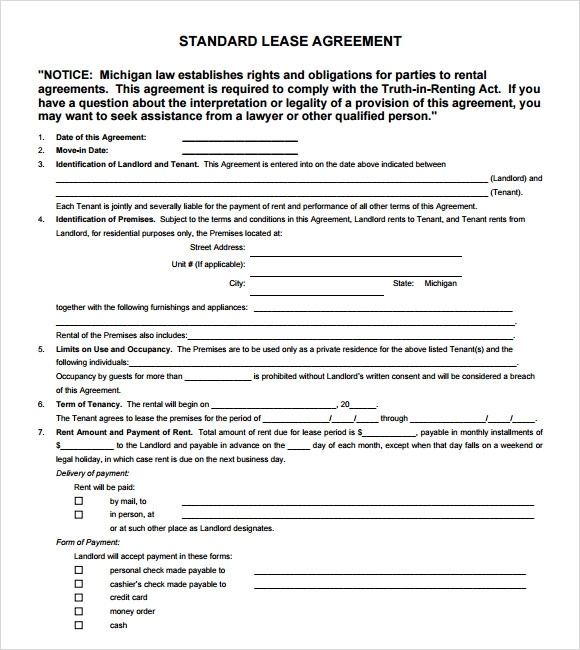 Lease agreement templates can easily be downloaded and they are needed for framing lease agreements that make way for comfortable stays in residential and commercial buildings. With the use of these templates the tenant and the landowner can enter into an agreement where the tenant pays a huge amount initially and then does not pay any rent further while enjoying the property in the form of a lease owner. Nevertheless, original landowners are responsible for paying the property taxes and the other taxes. If you do not have enough cash in hand you would not be able to take the services of a lawyer for framing your lease agreement, in this case, people who do not have a very huge budget can make the effective use of lease agreement templates. 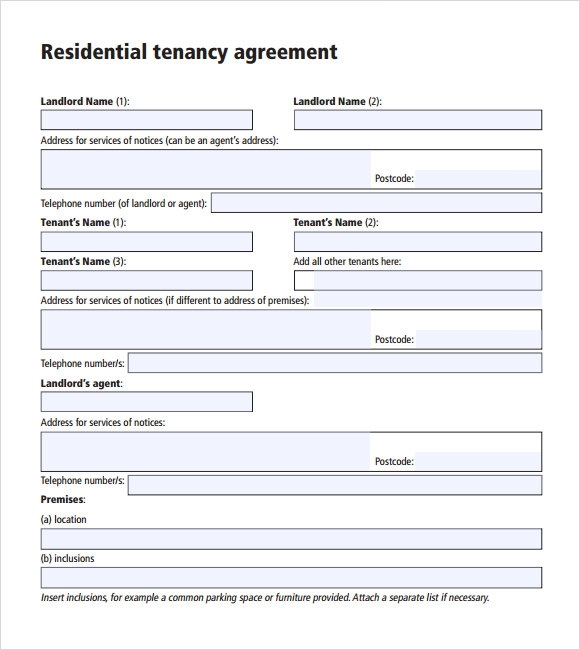 These templates enable the users to complete the task of framing a lease agreement without having to contact a lawyer.You can also see Sample Rental Lease Agreements. Coming up with a lease agreement template is not a very easy thing to do. It is quite challenging especially if an individual is completely unfamiliar with the points that need to be included in the template. A lease agreement template should include the standard information and details regarding the parties involved in the lease agreement. This would include their contact details, address and full names. The template should also have a brief and adequate description about the property that is being rented. The best lease agreement templates also state the main purpose of the lease while specifying the lease amount. The templates carry details of the lease and the conditions regarding the renewal of the agreement. Specific regulations are also spelled out elaborately in lease agreement templates. 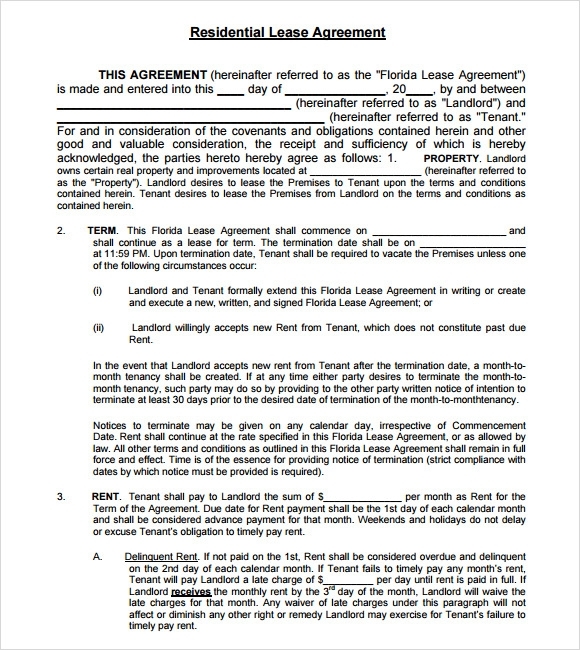 What Are the Benefits of Lease Agreement Templates? Coming up with a lease agreement is not a very difficult thing to do but using a lease agreement template can help you in completing the entire procedure within a very short span of time. There are different varieties of lease agreement templates available in different samples and formats throughout the internet. However, there is no use relying blindly on these templates. It is best to choose a template that best suits your requirements. It is also a good idea to get the services of a lawyer for going through the lease agreement and helping prepare the agreement in the most professional manner. These templates are pre-formatted by professionals and can also be edited very easily for offering the best benefits. 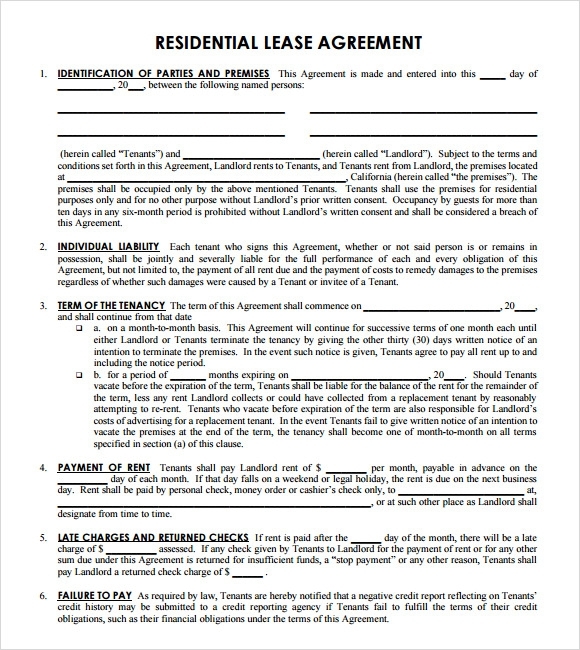 Make use of lease agreement templates for coming up with lease agreements that help in making the entire leasing procedure easy and convenient.You can also see Sample Blank Lease Agreements.